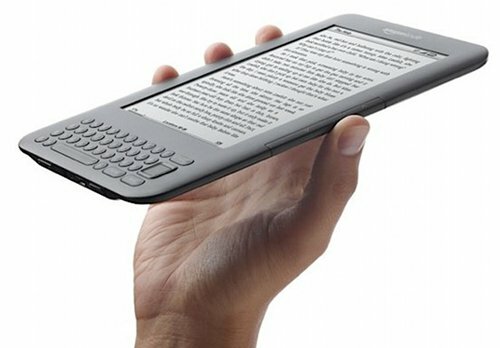 Looking for an e-book reader, read this first. I bought my wife a Kindle 3G around 15 December 2010 for Christmas, and on the day in question she opened it with great glee. On creating the account with Amazon she had some problems so rang the support line on Christmas day, unbelievably there was someone there and very helpful he was with a cheerful attitude and excellent instructions. I thought at the time now that is support above and beyond what I expected, but no thereâ€™s more. 11 months later, my wife who hardly ever puts the thing down and is always reading had problems with the page 'forwardâ€™ and â€˜previousâ€™ keys. Then it just would not turn on. Thinking that was it and it is going to cost a fortune to get it repaired I said â€œJust ring support and see what they sayâ€ so she did. They tried to do a remote boot, and then asked her to connect it to a computer for an hour or so and see if it turns on then, it did not so with her support number she called back and they arranged for it to be picked up and a new one would be sent. Anyway support like that is fantastic and needs praise so that is what I am doing here, If you are thinking about buying a book reader think hard on the Amazon â€˜Kindleâ€™. I donâ€™t know what the support level is on other book readers but with the Kindle it is the best support I have ever experienced.